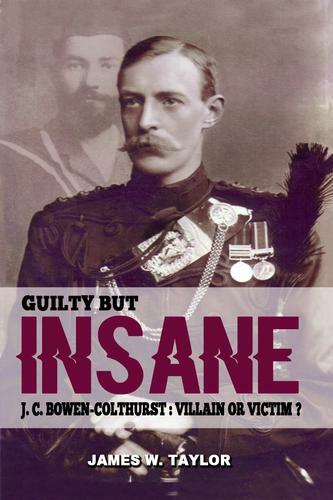 J. C. Bowen-Colthurst – Villain or Victim? Some years ago, when I was writing a history of the 2nd Royal Irish Rifles, I attempted to supply biographical details of the officers who served with that battalion during the Great War. It very soon became clear that one man in particular, Captain John C. Bowen-Colthurst, had had such a varied and controversial life that I would have to omit much of his story to avoid his dominating the narrative. Most of the information I found in the public domain, and especially on the Internet, reduced Captain Bowen-Colthurst to an evil or deranged British officer who murdered, or caused to be killed, at least six people during the 1916 Easter Rising, including Francis Sheehy Skeffington, Thomas Dickson, Patrick Mclntyre and J. J. Coade. Conspiracy theories abound, and it is commonly believed that the British government perverted the course of justice, initially by attempting to cover up the murders he committed and then by arranging a verdict of insanity in order to avoid a death sentence. My own earliest recollection of the name of Captain Bowen-Colthurst dates to a few months after his death, when the Irish broadcaster Telefis Eireann transmitted Insurrection in 1966 as part of their celebration of the fiftieth anniversary of the Rising. As a youth of twelve I was highly influenced by this television series, which glorified the heroes of the Irish Volunteers and the Irish Citizen Army. I clearly remember the representation of Bowen-Colthurst as a crazed man summarily shooting an innocent civilian in the street. Being a proud nationalist I had no reason to doubt this negative interpretation, and over the years the portrayal of Bowen-Colthurst scarcely changed. In 1981 the BBC transmitted a television docudrama entitled The Crime of Captain Colthurst, which was by no means a fair or accurate representation of the facts, and implied, without any of the military, political or medical files being available, that there had been a deliberate cover-up by the army and that many of the witnesses at Bowen-Colthurst's trial had committed perjury The main sources used, apart from the transcript of the court martial and the report of the Royal Commission of Inquiry, were the accounts left by Francis Sheehy SkefHngton's wife, Hanna, Sir Francis Vane and Monk Gibbon, all of which are far from impartial. In particular, Hanna Sheehy Skeffington was writing propaganda, which was quite understandable at the time, but it means that her account must be approached with some caution in terms of it being an accurate historical source. Despite this, these three sources have become the accepted foundation on which most accounts of Bowen-Colthurst's actions in Dublin have been based to date. But they are flawed in many ways, as I shall show in the following pages. As recently as 2011, RTE One transmitted a television pro­gramme entitled Re'abhloid, about the murders, but failed to provide a balanced report, preferring instead to recycle the ear­lier, inaccurate accounts. Over time, by comparison, relatively little attention has been focused on the indefensible murder of at least fifteen innocent civilians in North King Street by the 2/6th South Staffordshire Regiment. I decided that the case of Captain Bowen-Colthurst deserved deeper and more critical examination than it had received to date. Much new material emerged during my research that was fascinating and previously unknown. Accordingly, I set out to bring the true facts of the matter to the public attention. This book is not an apologia for Bowen-Colthurst's actions in Dublin; rather it is a presentation of the available evidence and allows the reader to come to his or her own informed conclusions. I freely admit that, at times, the more information I uncovered, the more perplexed I became. He was clearly a man of high intelligence and courage, impulsive and charming, yet flawed, easily influenced, vindictive and eccentric, with a mental weakness when extreme exhaustion or excitement set in. He was also a loving father and proud to be Irish, aspects of his personality that are often overlooked.